How Can I Preview A Sound Effect Or Music File? 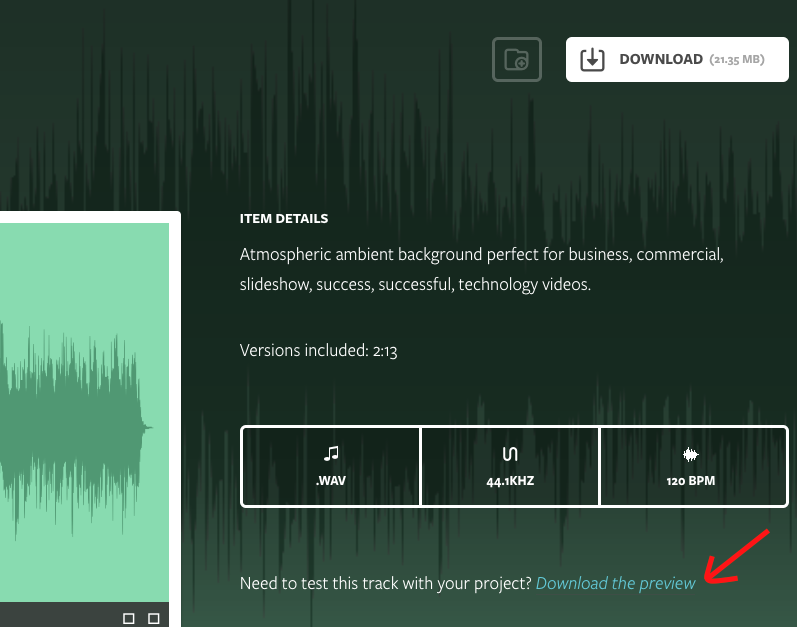 To help you decide whether or not you want to download a song or sound effect, you can download a short preview of the file first. Just go to the product page for the item you're thinking of downloading and click the Download the preview button positioned under Item Details. Please note that downloading previews will NOT result in any credits being deducted from your account.